Fellow ICE enthusiasts, I have a question hopefully some can help or suggest. 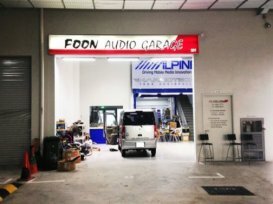 Recently I installed underseat sub Pioneer ts-wx130da which comes with remote and on the fly adjustment of LPF (between 50 to 125 Hz). Slope wise it is unknown even from the manual. My question is because HU also allow for sub crossover adjustment, how can I set it the right way without interference with each other. Anyone? Can Pioneer HU disable LHF adjustment so I can control from the sub directly? Worst shop ever. Spoilt the amp. Spoilt the central lock. And the sound quality is just average. And zero responsibility.